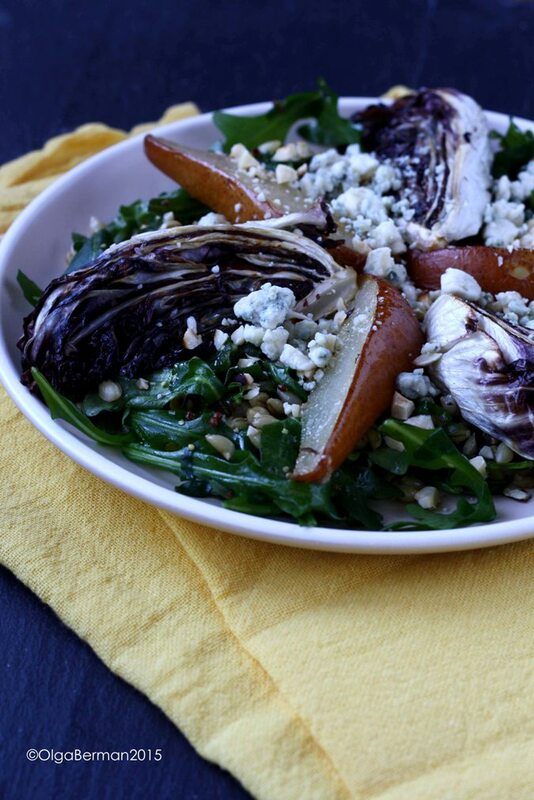 This Roasted Radicchio & Pear Salad With Barley & Blue Cheese is not only perfect for Meatless Monday, but is also a great filling salad to have for lunch or dinner any time of the week. 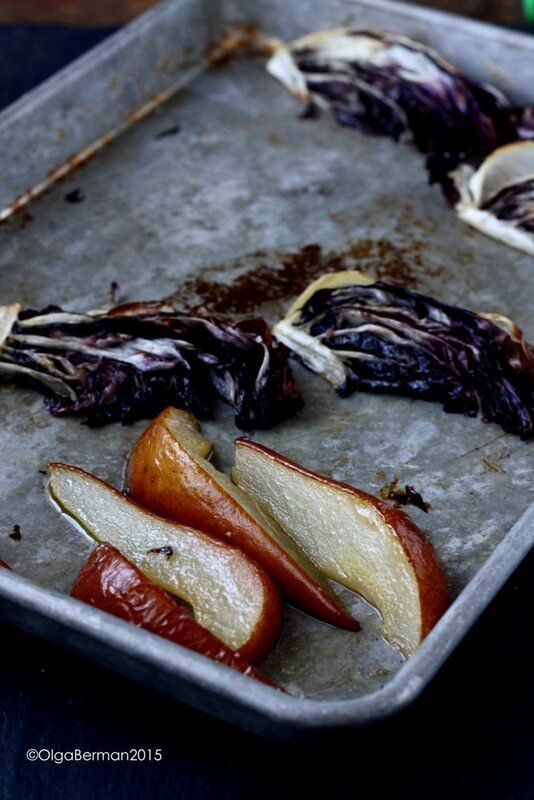 Here's what happened: I received a small head of radicchio and a few pears in my latest Washington Green Grocer shipment and thought it'd be great in a salad with blue cheese. I also happened to have some hazelnuts in the freezer and decided to make this salad over the weekend. THEN my friends Cecilia and Kaoru came over for arts & crafts get together at my condo this past Saturday and Cecilia suggested we make Barley and Arugula Salad with Pork and Mushrooms from Bon Appetit. The salad was absolutely delicious and I topped mine with the blue cheese I picked up at the store. I decided to use the leftover barley mixed with arugula and a lovely dressing as the base for my original radicchio, pear and blue cheese salad. 1. 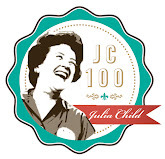 Preheat the oven to 450. 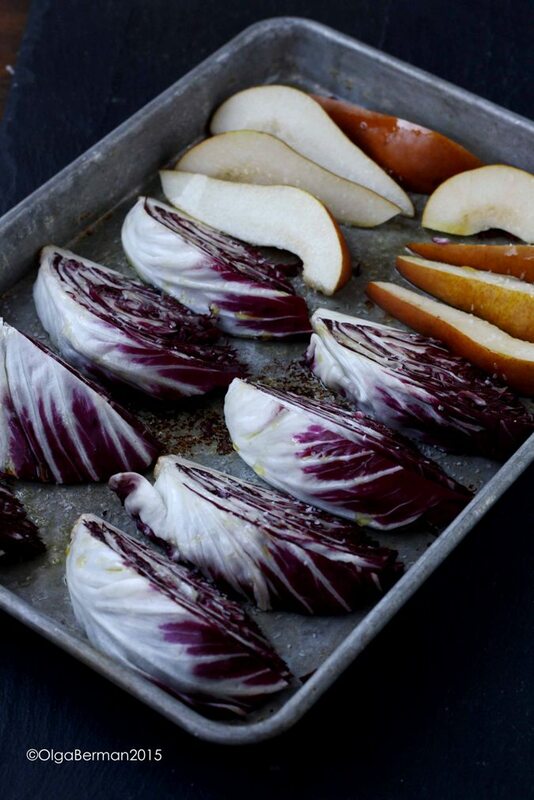 Lightly coat radicchio and pears with olive oil, season with salt and roast for 10 minutes on each side. 2. 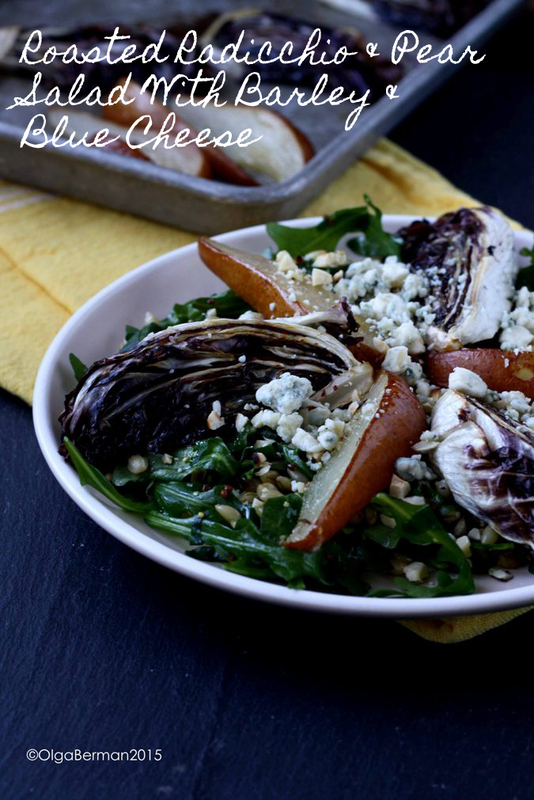 Serve the roasted radicchio and pears on top of a barley and arugula mixed with the dressing and top with blue cheese and hazelnuts. Isn't this pretty!? I loved this salad! I have more cooked barley leftover: what shall I do with it?